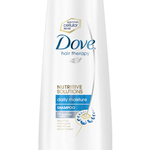 Dove Cool Moisture Shampoo is my favorite shampoo. I tried a lot of shampoos, but none of them compared to Dove Cool Moisture Shampoo. I have long, naturally curly hair and need a shampoo that will clean my hair without weighing it down. I use this shampoo every morning. When I pour some into my palm, I immediately can smell the cucumber and green tea scent. I absolutely love it and can't get enough of it. It wakes me up and puts a smile on my face. I don't have to use much of this shampoo for it to get my hair thoroughly clean, which means buying shampoo less often. My hair is so soft and manageable now that I've switched to Dove Cool Moisture Shampoo. Dove really knows how to make a great product. Effectiveness My hair feels so clean and soft and looks shiny after using this shampoo. Scent I wish the cucumber and green tea scent could be made into a body spray. It is amazing. It doesn't smell artificial, and even though it's strong, that makes it long lasting. This shampoo is great, but the smell can get old after awhile. When I first bought this shampoo, I loved the scent. It also cleaned my hair very well. I thought it smelled wonderful and that really was the main reason I purchased. I think Dove's cool moisture is a wonderful smell, at first. I started to notice that it was very strong and really stayed in my hair, which usually is a good thing to me. However, not this time. It was very overpowering and it began to annoy me. I liked how the shampoo worked but because the scent was so strong, I began to hate it. I did not even finish out the bottle before I threw it away. It made me very upset, because usually I love Dove products. It was really the first time that I had become disappointed in any product that they have released. I use Dove shampoos regularly as well conditioners, body washes, and deodorant. 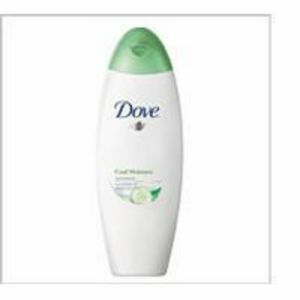 In fact, most of the products I use for hygiene are Dove's items. I can honestly say that it nothing to do with the effectiveness of the product; it was mainly the scent that turned me off and not because it smelled bad, because the scent was way too strong. All dove shampoos smell really good. 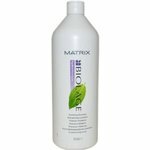 I tried this shampoo several times before and what attracted me to this shampoo was the fresh clean cucumber scent. 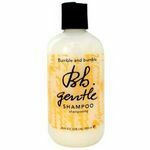 It has a rich texture and it was very creamy and lathered really soapy in my hair. My hair felt so much smoother and I did feel a difference. It was very weightless to my hair and didn't drag it down it kept the body in my hair. My hair felt a lot healthier and the scent locked in my hair all day. When you apply you only need a little bit because a little bit goes a long way. I did however noticed a couple days after using this shampoo I got a little bit of dandruff on the crown of my head. Don't get me wrong this shampoo works extremely well but it just left me with a little bit of dandruff. I don't think I would buy this shampoo again just because I don't want to experience dandruff again. I think maybe it was just a little too much for my hair. 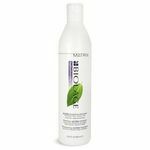 I have used the Cool Moisture conditioner for quite a while but never the shampoo. It was on sale as a buy one get one free so I decided to give it a shot. It smells very nice, a cucumber and green tree scent. It lathers up very nicely and you do not have to use a lot to get a good lather going. It rinses out nicely as well and leaves your hair with a great smell that lasts. It cleans really well too and did not dry out my hair. I did notice however that after a few weeks of using it that my hair started to feel weighted down and heavy so I used another shampoo for a few days. I like the shampoo but would not use it every single day. I like the smell and how it works with the matching conditioner. It is a good product for the money and is often on sale. I recommend it for all hair types. It deep cleans any type of hair, short or long, does not work on dandruff if you have it and adds a fluffiness to your hair. Overall a good shampoo. I love, love, love this product! I started using it in March 2007 and it is the only shampoo I have used since then. This is the longest I have stayed with the same shampoo, so that must say something! I have normal, straight hair and it works really well on it. It does give it some volume, but not too much that it is overwhelming. The scent is amazing. It really does smell like cucumbers! I have gotten a lot of compliments on it. You can still smell it in the evening, and even the next morning! I use it with the conditioner, which probably gives it an even stronger scent! It is getting harder and harder to find. I try to buy it at a pharmacy because they have rewards programs, plus there are always coupons in the paper that same week. I recommend giving this product a try! Keep buying it and let Dove know because I am not sure how much longer it will be on the shelves! I promise you will not be disappointed! Perfect for color treated hair! I have tried salon exclusive products and mainstream many times over. I fell in love with this Dove shampoo at first just for the scent. Very calming and sweet but not over powering when blended with other hair products. I have a sensitive scalp (to the point of some shampoos in the past giving me burn or scabs on it) and this is so nice to my scalp and really takes care of my hair. I color treat my hair with highlights and a black underneath. Most people would say to use color treated only but the moisture this shampoo provides really helps to lock in the color and keep it bright for MONTHS! A little goes a long way as it lathers on very nicely and washes clean. The conditioner is a great compliment to the product. Flip top makes it fairly easy to use in the shower. Only minor complaint with the big bottle is getting the last of it out as the top of the container is curved so standing bottle upside down is not really an option. I have coarse, thick hair. Most shampoos just don't give me the results I want so I tend to stick with one or two favorite brands. I purchased Dove shampoo and conditioner when I had a coupon. I am so glad I gave it a try. The Dove shampoo was thick and worked up a good lather. The scent was delicate but wonderfully refreshing. Since I don't wear perfume, having a product with a light scent is nice. The shampoo rinsed out very well. I followed with the conditioner. My hair felt clean yet moisturized. It had the shine I was looking for without using additional product. This is now my go-to brand. It is easily accessible and there are usually several choices if fragrances and formulations. If you look carefully, you might be able to snag a bottle with a bonus sample or some other special treat. Dove shampoo makes me feel like I splurged on an expensive brand! Effectiveness I get salon quality for a discount store price. Scent Light and refreshing without overpowering. Many scents available. I love the smell of this Dove shampoo. It's refreshing, clean, and lasts without being overpowering. The consistancy is good for application, not too thin or thick so as not to waste it/use too much. I think the shampoo by itself was a little drying to my hair so I use the conditioner too. This is definitely the best shampoo I've ever tried. I saw this shampoo on sale at the grocery store on day and decided to try it, since I was tired of the normal shampoo I'd been using. This stuff is amazing! After the first wash, I told my boyfriend that I wasn't going to use anything else ever again. The shampoo is thick, it lathers nicely, and the smell is awesome. This is the best Dove product by far. 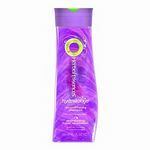 The shampoo is every bit as good as several of the salon shampoos that I have tried and not continued to use because of the high cost. Finally a product that is reasonably priced with absolutely salon qualtiy!! !